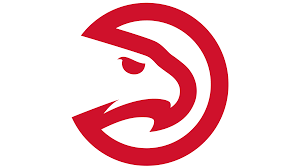 The Hawks are clearly marking time in the “Progression,” which is just a southern version of the Process. With three first round picks this year, and their own and Dallas’ first round pick next year, they hope to build a solid nucleus of young athletes who can grow together into something special. The issue with this of course is, as any Sixer fan can tell you, you have to hold your nose and endure years of bad basketball. The Hawks did recently celebrate a two-game winning streak. Yay! The Trae Young (pick #3, 2018) Era has begun with predictable “ah yes” and “oh no” moments. The other youngsters, Kevin Huerter (pick #19, 2018), Omari Spellman (pick #30, 2018), John Collins (pick #19, 2017), Tyler Dorsey (pick #41, 2017), Taurean Prince (pick #12, 2016), and DeAndre’ Bembry (pick #21, 2016) are all moving at various speeds of “progression.” Collins just recently returned from injury and is showing advancements on the high-flying promise he displayed last year. Neophyte Coach Lloyd Pierce has his charges playing at a fast pace, and hard most of the time, but not always well, and not always smart, but all of that is to be expected in the “Progression.” Atlanta may like the word Progression better than Process because at least it contains the word progress. I am wrong sometimes. It does happen. I didn’t think Trae Young’s little body would be able to stand up physically to the grown men in the NBA, and be the focal point of an NBA offense. So far, the results have been mixed, with several 5-for-19 shooting nights, but you’ve also seen a few efforts of 20+ points with double-digit assists. You might not be able to see the stardom GM Travis Schlenk sees when you look at Trae, but at least you see a road that might take him in that direction. He has been producing nearly 16 PPG and 8 APG, but other teams focusing defensively on young Trae has resulted in bad shooting percentages (38% and 25% from deep) and 4 TO’s a contest. As a fantasy owner, some things you just have to live with. Taurean Prince was on a lot of breakout lists after he had a strong March/April last year, but 15 PPG on 42% from the floor was not what fantasy owners envisioned when they fought to get him. John Collins has returned from injury and produced 15 PPG, 5.5 RPG, and 63% shooting from the field. If other owners have been sleeping, grab him now. For bigs on the Hawks, you have a dealer’s choice between Dwayne Dedmon and Alex Len. If you own one of them, you are probably hoping the other one gets traded, wins the lottery, or somehow goes away. Coach Pierce is using them both, trying to maximize their contributions. What fantasy owners are getting is mediocrity. Jeremy Lin finally looks healthy and the minutes and production have been on the uptick. Monitor him for a possible pickup, especially in a month or two, when that rookie wall starts slapping Trae Young around. Kent Bazemore is the fourth-leading scorer at 13.3 PPG, and is adding 4 RPG, a block, a three, and 1.6 SPG. He is exactly what ails the Rockets, and the Hawks are just biding their time, waiting for a few more Rockets losses, so they can extract another first rounder into their coffers. As a junior at Old Dominion University in 2010–11, Bazemore won the Lefty Driesell Award, an award given to the best defensive player in college basketball. That and his three-point shooting makes him a perfect fit for the Rockets, but the Hawks better not let the Knicks and Courtney Lee beat them to the punch. If Baze is moved, the minutes will go to Kevin Huerter, DeAndre’ Bembry, and Tyler Dorsey. Bembry could be the greatest recipient if he could improve his marksmanship and minimize the silly turnovers that make Coach Pierce bald. Wait, he already is bald. Maybe that is a good thing because watching this young team can make you pull your hair out on some nights. The Queen City currently has a first place team, as 11-10 tops this division. Kemba Walker has been so good his name is creeping into MVP discussions. Sadly, no other Hornet has really distinguished themselves as an able scoring companion. Coach James Borrego, a Paul Popovich trainee, is getting the most out of this roster. He intermixes an assortment of indistinguishable bigs with whichever wing is hot between Malik Monk, Nic Batum, and Jeremy Lamb to manufacture victories. A seven or eight seed and a quick playoff exit looks like the future for the Bees, unless a mid-season addition occurs. Still, if they can hold on, a division championship is nothing to sneeze at and could help keep Kemba in Carolina. Kemba Walker is providing more points per game than last year (up to 27.9) with better shooting efficiency, more free throws (5.5), threes (3.5), assists (6.5), and rebounds (4.3). Rarely does a player, who has produced 22.1 PPG in the past, have a realistic opportunity to be in the Most Improved Player discussion. Looking at it realistically, though, it is significantly harder to go from 22 PPG to 28 PPG with other improvements across the board than it is to go from 9 to 15, or 13 to 19, which is usually what happens when a player wins the award. Jeremy Lamb is up to 14.6 PPG from 12.9 last year, which makes him the second leading scorer. Malik Monk is at 11.5 PPG with 38 three pointers but is shooting 37% from the field. Improved marksmanship from him will need to occur if they intend to stay atop the division. Tony Parker (9.7 PPG, 4.3 APG), Nic Batum (9.3 PPG, 5.6 RPG), and Cody Zeller (9.3 PPG, 58%, 5 RPG) all probably got drafted in your league, but no fantasy owner is bragging about any of those selections. Borrego, who knows Parker from their old Spurs days, realized Tony still has something left, and TP has rewarded his confidence with solid backup PG production. Devonte Graham has been getting a little more run lately and has shown some poise, but unless there are injuries, there are not enough minutes for the third PG to be roster worthy. Forwards Marvin Williams and Michael Kidd-Gilchrist are the same player: 8 PPG, 5 to 6 RPG, with some skills, positive team attitudes, but severe limitations. Both were both drafted 2nd overall, but players drafted later have lapped them in production. The Hornets first round pick in 2018, Miles Bridges, has shown enthusiasm, delivered ferocious dunks, and traditional newbie faux paus. With two more months of learning, he may receive more minutes than veteran brethren. With minutes comes confidence. With confidence, comes numbers. If he can get up to the high-twenties in minutes, he will produce enough to be waiver wire worthy. Frank “the Tank” Kaminsky, another top 10 draftee (#9 in 2015) has fallen out of the normal playing rotation. How quickly we forget that he was the 2015 Player of the Year, and that AP, Oscar Robertson, Naismith, Wooden and Abdul-Jabbar awards were all claimed by him as a result of leading Wisconsin to a Final Four appearance. Cody Zeller, Kaminsky, Williams, Kidd-Gilchrist, Bridges, and Willy Hernangomez are used interchangeably by Coach Borrego, as he tries to piecemeal satisfactory production from the lackluster group. Don’t trust any of them. If you have one and he has a big game, try and move him quickly to get something for them. The Heat are a little like the eastern version of the Clippers, in that they have a lot of good players, but no superstar. However, their record is a direct inverse of the surprising Clips, who are near the top in the West. The negative win percentage is not entirely the Heat’s fault, as Wayne Ellington and James Johnson were not available to start the season, Dion Waiters has not played at all, and now Goran Dragic is having knee issues. Still they have had some bad losses. Hassan Whiteside, Dion Waiters, and Tyler Johnson are all overpaid, which limits the Heat’s ability to make moves. Once they get their full arsenal, Coach Eric Spoelstra will have a myriad of choices on the wing and in the backcourt. Josh Richardson is attempting to make the leap to lead scorer and alpha dog, while Dwayne Wade is simultaneously backing down from that slot to complementary contributor. Dragic, Tyler Johnson, Ellington, and Rodney McGruder provide backcourt and wing depth. Justise Winslow is playing a lot at PF, as is James Johnson, who returned five games ago. Whiteside starts at center, but Bam Adebayo and Kelly Olynyk also receive center minutes, depending on matchups. As a result, the Heat have not really been able to establish any real rhythm yet. This team did win 44 games last year with essentially the same cast, so once they get a little healthier, I expect a few more wins will follow. Josh Richardson does everything, which makes him fantasy gold. He is scoring over 20 a game, with steals, threes, assists, and rebounds. He has not yet grown comfortable in the lead dog role, which is made more difficult by having a tough defensive assignment every night, and by not having Dragic and his 16 PPG and 5 APG available. Dwayne “Flash” Wade has shown flashes of his younger self in Dragic’s absence and still has his days, demonstrated by a 35 point explosion last week. If he has another explosion, try and trade him. Hassan Whiteside had a different training regimen this offseason and has responded with 13.2 PPG, 14 RPG, and 3 BPG. The 49% shooting is well below his career 56% mark, and the 51% FT shooting is abysmal, but the rebounds and blocks are top shelf. It would be interesting to see what he might produce if he got the same minutes as J Rich or McGruder, as he splits time Bam Adebayo, who gets 6 PPG and 7 RPG in only 18 minutes. Kelly Olynyk provides the spacing as a small-ball five with 7 PPG and a three, but he also is in a timeshare and plays only 17 minutes. If any of the centers look like they will miss time, the others will benefit. Speaking of Rodney McGruder, 3.4 APG, 5 RPG, 12.2 PPG, with stout defense makes him one of Spo’s favorites. He is second on the team in minutes only to Richardson. Tyler Johnson and Wayne Ellington both average double-digits, but everybody who wears the Miami Vice unis compete for minutes. Their minutes may be a bit inflated due to injuries, but if you need threes, Wayne Ellington is your guy, as he has been draining three a night since his return. We haven’t seen Dion Waiters yet, and this team could use his offensive creativity. Don’t rush out and stash him yet, though, because he hasn’t been effective since he got paid. James Johnson has only been back five games and hasn’t gotten his sea legs yet. Last year, he averaged 10.8 PPG with 4 APG and 5 RPG. If you watch Heat games, you will notice nobody messes with Johnson, as he holds a second-degree black belt in karate and fought in his first mixed martial arts bout at age 18. He has an undefeated record in seven MMA matches, while also holding a 20–0 record in kickboxing matches. 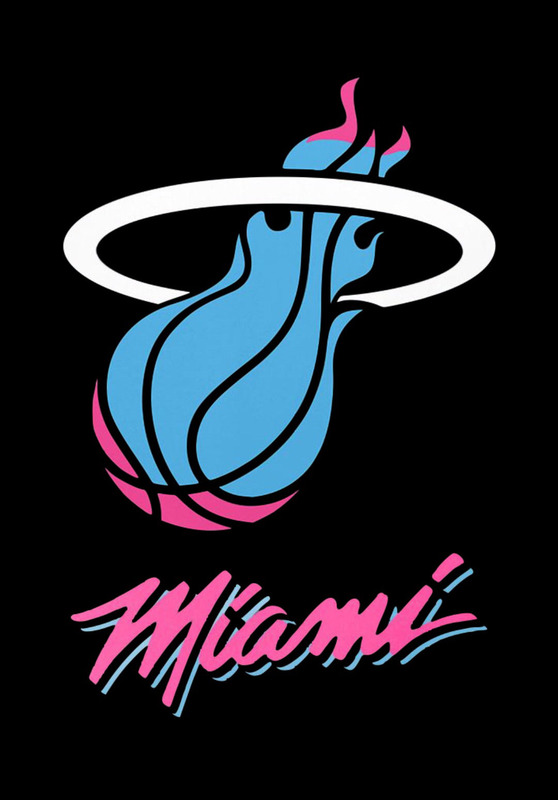 By the way, the Heat alternative Miami Vice unis are really cool. Mickey’s team is two games under .500, but still must be considered a surprise. When the Magic drafted Mo Bamba with the 6th pick in the draft, many started trying to figure out where Nikola Vucevic would be traded to, but Vuc has been their best player by far, leading them in scoring and rebounding while adding the three pointer to his arsenal. Aaron Gordon got paid handsomely this offseason, but he still seems to be a year away from performing to that pay scale. Evan Fournier and Terrence Ross have provided long-range bombing and scoring, allowing Bamba and Jonathan Isaac (last year’s # 6 pick in the draft) to come along slowly. Not sure why the Magic did not acquire a point guard in the off season, as they probably have the weakest PG situation in the Association. Having said that, Coach Clifford has not allowed that to be an excuse, and is doing the best he can with the duo of DJ Augustin and Jerian Grant. 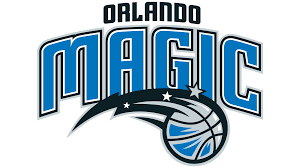 The Magic have benefitted from a bit of a soft early schedule, but still have some quality wins. An upcoming west coast road trip will test their mettle for sure. A run at the playoffs will be determined by whether they can pick up a starting level floor general or not. Nikola Vucevic for mayor! Similar to Kemba with the Hornets, the Magic’s surprising early start has been fueled by their most effective offensive weapon having his best year. Adding efficient three-ball shooting (1+ per game, 41%) combined with 21 PPG, 11 RPG, good percentages all around, and more trips to the free throw line have pushed him into All-Star discussions at the quarter turn. Aaron Gordon has duplicated last year’s strong start. Owners are hoping he won’t fade late as he did last year. His 16 PPG and 7 RPG are good, but being very close to the steal/three/block a game club is even better. Between them, Evan Fournier and Terrence Ross are producing 30 points a game, but it is Ross who has been on fire lately. He has 51 3’s in 22 games. The issue for Ross has always been consistency, so we have to see if the fire stays lit. As a rookie, he was crowned champion of the 2013 Slam Dunk Contest. In January 2014, he became the first player in NBA history to score 50 or more points in a game while averaging fewer than 10 points per game at the time. He averaged 12.5 two years ago, but lost the middle four months of the season last year with a right leg injury. He may have been forgotten on draft day, so if he is still out there, grab him. Once he has one of those really big nights, the opportunity will be gone. Jonathan Simmons was a huge breakout name last year when he joined the Magic after strong playoff performances with the Spurs. He produced 13.9 PPG in 29 minutes, but has struggled mightily with his shot thus far in this campaign (34%). Simmons is a fighter, having played in the ABL and the D- League and working his way into Pop’s trust, so don’t count him out just yet. Mo Bamba and Jonathan Isaac are both producing single-digit scoring in limited minutes, but have been rebounding and blocking shots in those limited opportunities. Isaac was hit by the injury bug again and just recently returned. If you have the chance to poach them, I would do it. I suspect as the schedule toughens up, the number of Magic losses will pile up and with that will come the pressure to play the youngsters in larger roles. With young players the struggle is getting the minutes. With minutes comes confidence. With confidence, comes numbers. I don’t mean to disparage DJ Augustin, who has played admirably, but in today’s NBA 10.5 PPG and 5.4 APG are not the numbers of a playoff PG. Having said that, if your team is devoid of assists, and DJ is available in your league, 5.4 assists is 15-20 on a weekly basis. The Wizards are in need of some sorcery. A playoff team a year ago with All-Star PG John Wall missing half the season, the Wiz were slotted to be fighting for a top four Eastern Conference spot. Just 21 games into the season, most scribes are burying them and directing ownership to reach for the dynamite. The tweet below references a quote from Coach Scott Brooks, who must have been asleep while he was coaching last year. So who gets paid to make sure the players put forth effort? But it is not Brooks fault alone. GM Ernie Grunfeld has long been overdue for a new assignment. He traded Marcin Gortat for Austin Rivers and then acquired Dwight Howard to fill the hole in the middle. Howard has not been able to stay on the floor much in the early going and now has had back surgery and will miss more games. Neither move has panned out, and Austin has cost Satoranksy valuable minutes. Since no team has run off with the division, the Wiz still have a chance to turn it around, but all the aroma around the Wiz just smells bad. There are discussions of trading All-Star Bradley Beal or Otto Porter and blowing the whole thing up. Moreover, nobody getting significant time is converting better than 36% from deep and has exhibited a passionless enthusiasm for defense. This team needs a psychiatrist, and it needs to be one with advanced degrees. Send in one with just a bachelor’s and he may be the one who comes out negatively affected. The backcourt partnership of John Wall and Bradley Beal have been doing what All-Star guards do offensively. Both are scoring over 20 PPG and Wall is dishing out 8.1 APG, while Beal has 49 threes in 21 games. Both are members of the three/steal/block club, the rare combination of players who produce at least one of each every night. Otto Porter Jr. has been a mystery, as he has fallen off from last year. His numbers are down in every category. He has had a couple of bounce back games lately, but also seems bothered by the trade talk. The window may not be fully closed on buying low, but if he is traded, there may be a few weeks of adaptation time when the numbers could be adversely affected. His salary may make him hard to move. The desperate Rockets may be his best trade destination. 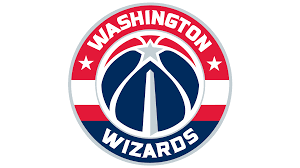 Markieef Morris (11.6 PPG, 5.1 RPG) and Jeff Green (10.5 PPG, 5.1 RPG) will soak up most of Dwight Howard’s minutes, as the Wiz have been going with more small ball. Thomas Bryant has been the starting center in name only, and it will stay that way unless he can curb the defensive mistakes and rebound more ferociously. The long-term loss of Howard makes the Wiz vulnerable on the boards, a tough pill for a team whose best players operate in a fast paced run-and-gun style. Open threes for Porter and Beal often come on a Wall fast break dash off a defensive rebound. Kelly Oubre has always worked hard on the defensive end to earn his minutes, but he has not been immune to the Wiz bricklaying (42%, 28% from deep) while generating 12 points a game. You are a Genius – if you drafted Nikola Vucevic, Kemba Walker, and/or Josh Richardson (me, me!). You need Tums – if you drafted Marvin Williams, Trae Young, Michael Kidd-Gilchrist, Justise Winslow, or any of the three Miami centers. Don’t Drink and Draft – if you picked Dwight Howard, Dion Waiters, or Vince Carter. Leave the Coronas alone until after the draft is complete next year. Run, Don’t Walk – grab Terrence Ross and Jeff Green. 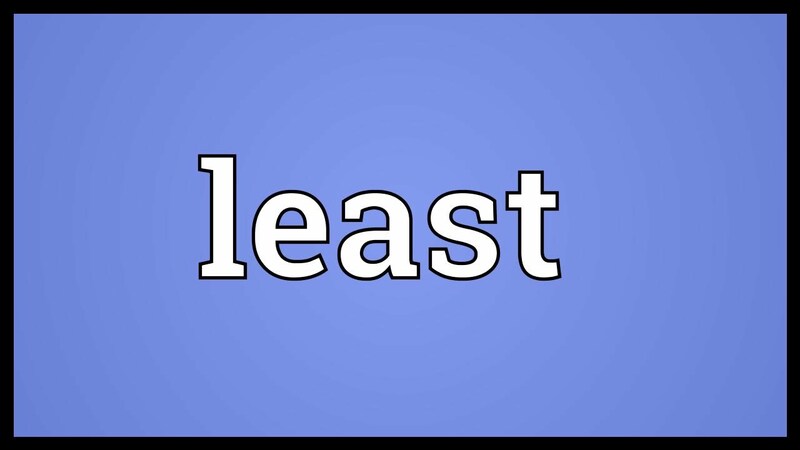 You should endeavor to learn a new word each week – your humble scribe is here to help. This week’s new word is IMPIGNORATE. As Ms. Brussels used to say at Ulysses S. Grant School #7 in Passaic NJ, spell it, define it, and use it in a sentence. The Houston Rockets may be forced to impignorate multiple draft choices to secure the defensive wing depth they need to duplicate last year’s success.